Now Celebrations.com lets me set up full sample text so it's easier for you to customize it all and send it out! I do all the hard work and you just highlight my sample text and type in your own. 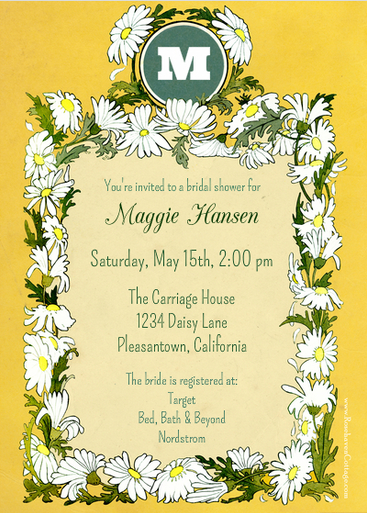 My "Daisy Chain" design (below) is fun because you can have your own monogram on the top and then your invitation text below can be in a variety of fonts and colors. 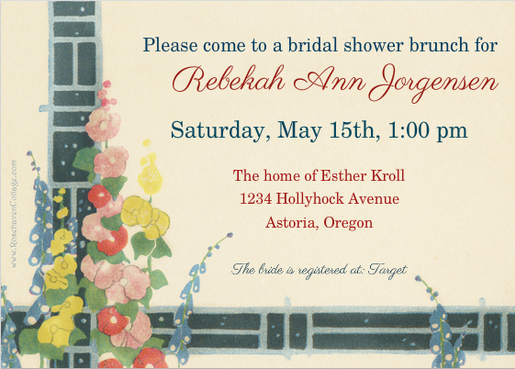 And your invitation doesn't have to be the same kind of event as the sample text. Everything is customizable on this design! My "Plum Blossom Spring" design (below) is very popular because it can be used for lots of different gatherings--bridal showers, baby showers, luncheons, Easter and a myriad of other fun events. 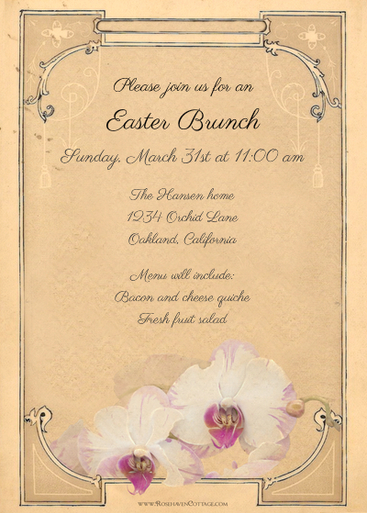 I set up the sample text for my "Victorian orchids" design (below) as an Easter brunch invite but you can change it up and send it for a shower invite, a Mother's Day card or even a gathering for your local botanical club! My "Hollyhocks and delphiniums" design (below) is super versatile too. It can be an ecard for a birthday or get well soon card. It can also be as an invite for just about anything. The other neat thing about using Celebrations.com is that you can utilize the wonderful event management tools they have and still send your invitations for free. 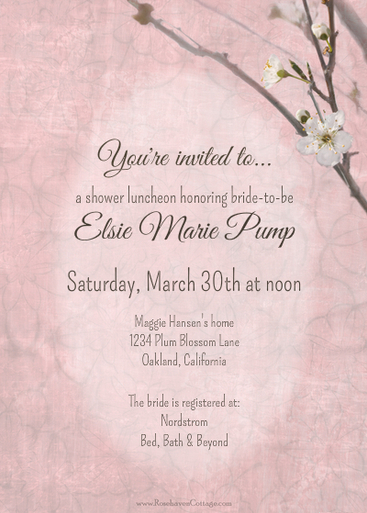 For a fee, you can also choose to send real printed invitations or cards through their printing and mailing service.